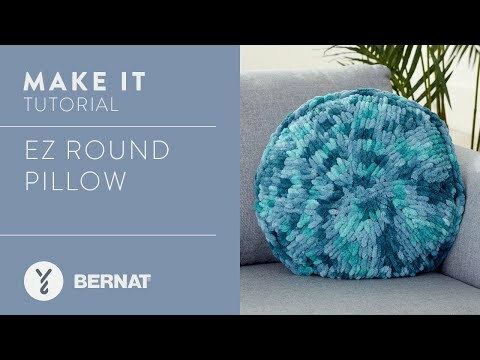 Make a round pillow using Bernat Alize Blanket-EZ, the unique loops in this yarn makes projects quick and easy! Approx 18” [45.5 cm] diameter. This round pillow is easy to work up quickly using Bernat Alize Blanket-EZ, this soft microfibre chenille yarn is perfect for comfy and cozy home décor projects.